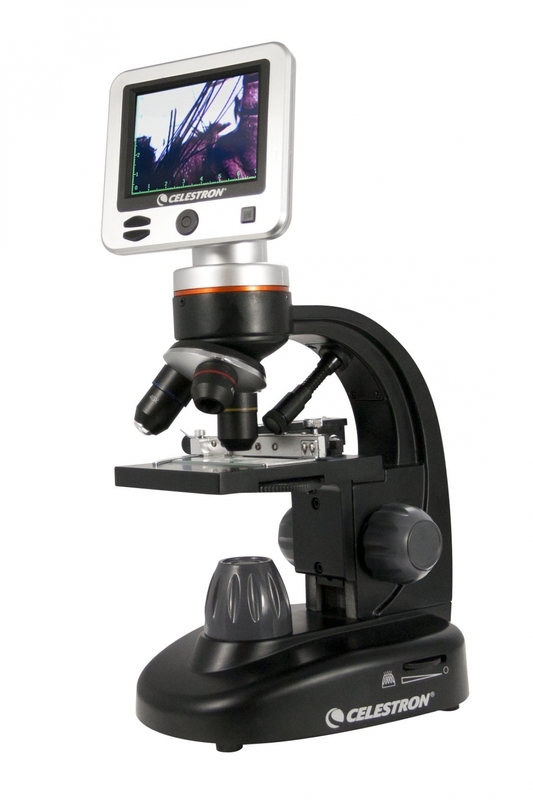 The professional-level Celestron LCD Digital Microscope II is a biological LCD microscope at an affordable price. With fully achromatic lens objectives, a mechanical stage, 3.5” full color TFT screen and 5 MP CMOS sensor, the LCD Digital Microscope II allows for high-resolution imaging of specimen slides. The microscope even includes a 1 GB SD card, enough storage to capture over 600 high-resolution images for lab reports, papers, lesson, and more.